Ted Williams, outfielder for the Boston Red Sox, at Yankee Stadium in New York City. A new film explores the life of baseball legend Williams who struggled with his Mexican-American heritage and his volatile relationship with his family and the press. The upcoming PBS “American Masters” documentary on the former Boston Red Sox slugger uses rare footage and family interviews to paint a picture of a complicated figure that hid his past but later spoke out and defended black players. Ted Williams of the Boston Red Sox knocks the ball out of the park for a home run in the second inning against the Washington Senators. The Washington catcher is Earl Battey. A new film explores the life of baseball legend Williams who struggled with his Mexican-American heritage and his volatile relationship with his family and the press. Ted Williams, long-time Red Sox batting ace, chats with E.J. (Pumpsie) Green at the Boston training camp in Scottsdale, Ariz. A new film explores the life of baseball legend Williams who struggled with his Mexican-American heritage and his volatile relationship with his family and the press. The upcoming PBS “American Masters” documentary on the former Boston Red Sox slugger uses rare footage and family interviews to paint a picture of a complicated figure that hid his past but later spoke out and defended black players. 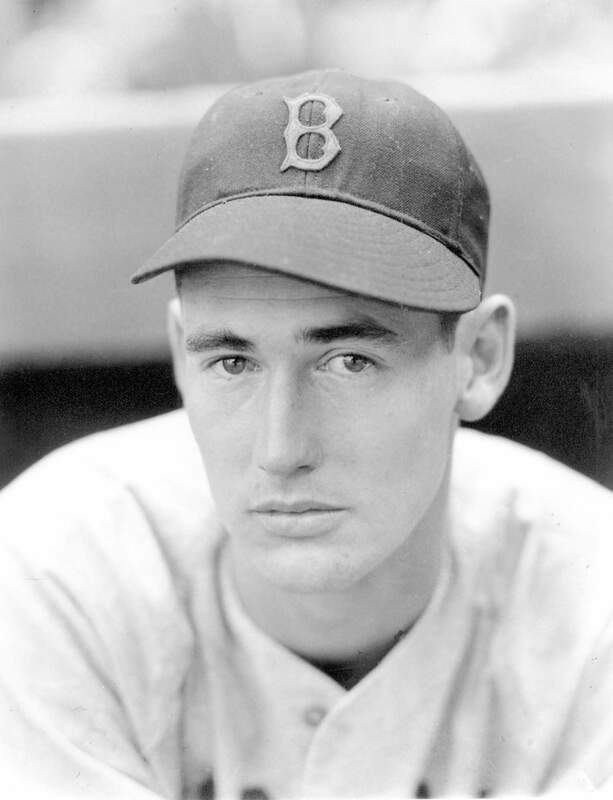 ALBQUERQUE – Ted Williams is the last major league baseball player to hit over .400. 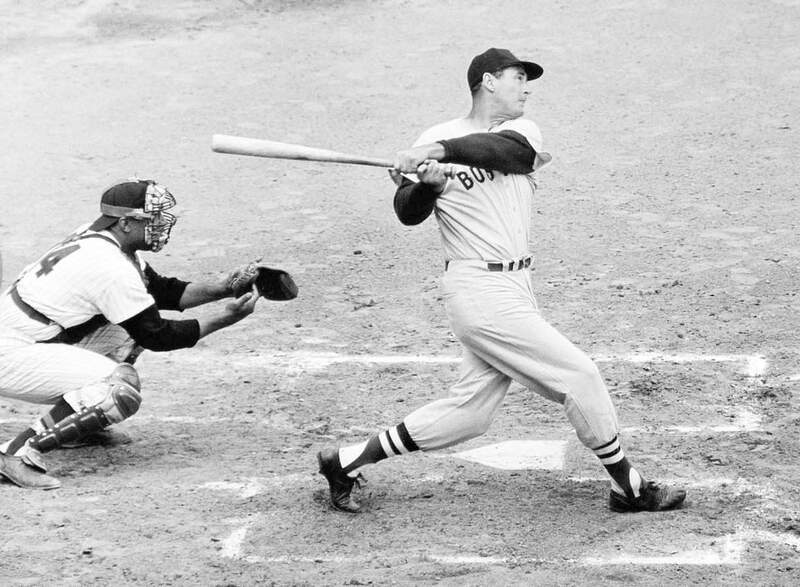 The Boston Red Sox slugger captivated millions with his dazzling swing and towering homers throughout the 1940s and 1950s in competition with New York Yankees hero Joe DiMaggio. 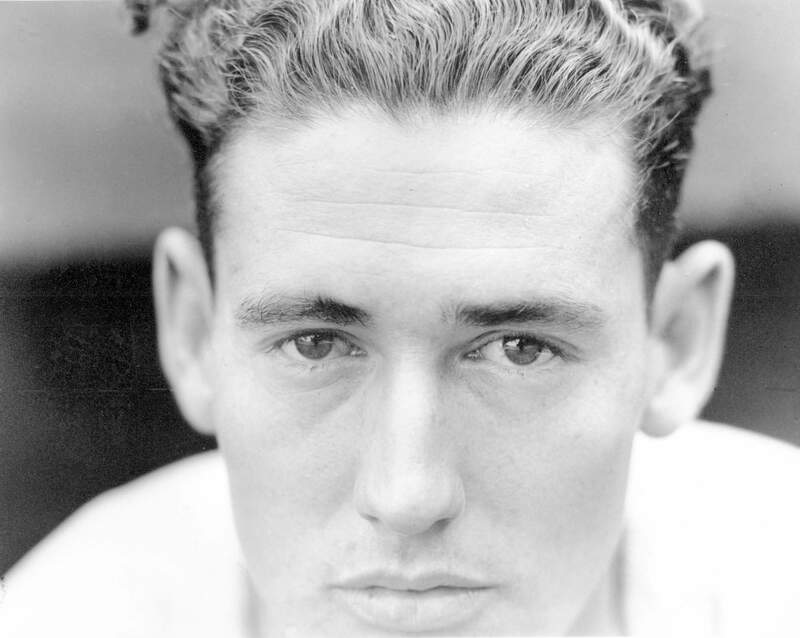 On May 23, 1941, outfielder for the Boston Red Sox Ted Williams poses at Yankee Stadium in New York City. A new film explores the life of baseball legend Williams who struggled with his Mexican-American heritage and his volatile relationship with his family and the press. The upcoming PBS “American Masters” documentary on the former Boston Red Sox slugger uses rare footage and family interviews to paint a picture of a complicated figure that hid his past but later spoke out and defended black players. 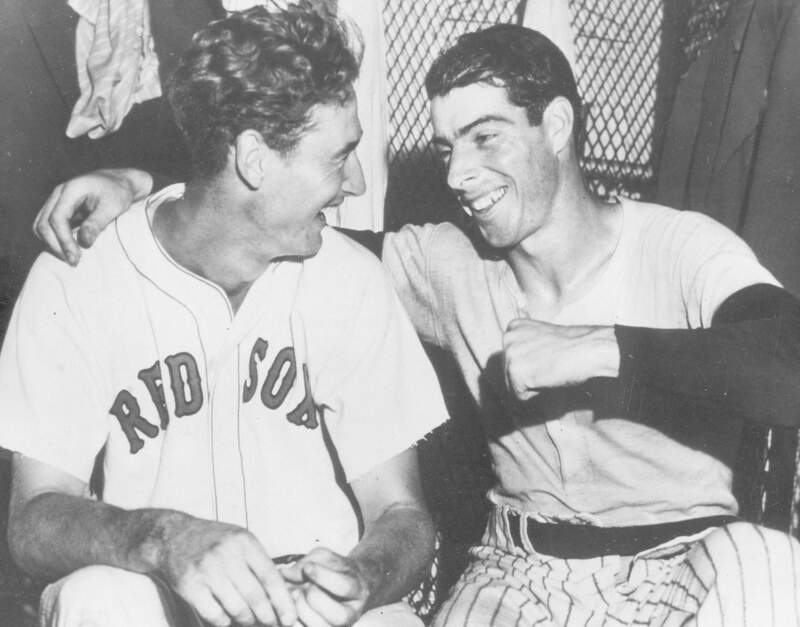 On this July 8, 1941, Joe DiMaggio, right, of the New York Yankees, congratulates Boston Red Sox slugger Ted Williams whose ninth inning homer defeated the national league All Stars, 7-5, in Detroit, Mich. A new film explores the life of baseball legend Williams who struggled with his Mexican-American heritage and his volatile relationship with his family and the press. But baseball officials wanted Williams to drop the reference. 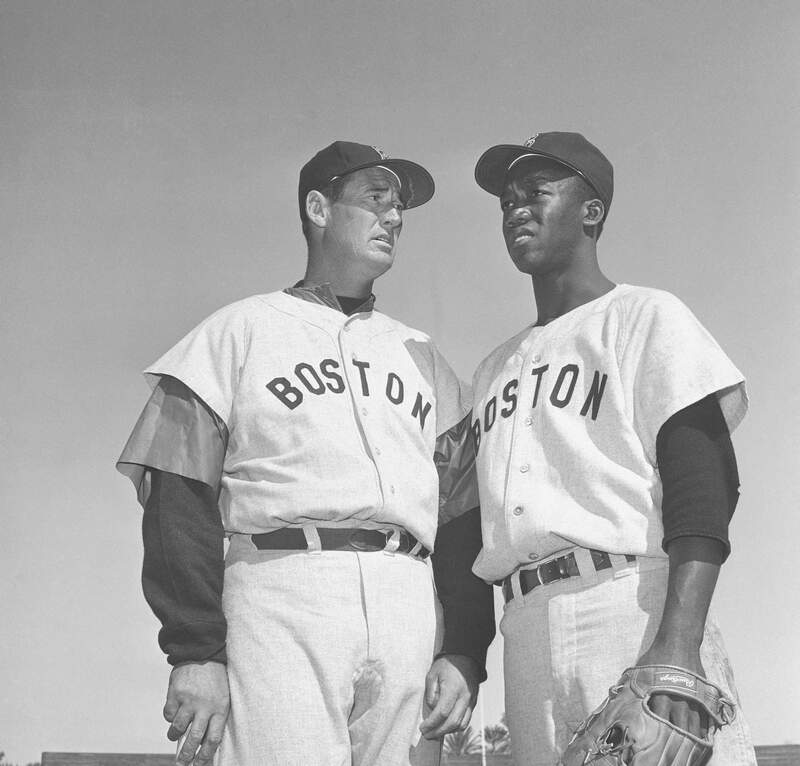 “You don’t tell Ted Williams what he can and cannot do,” Claudia Williams said in the film.